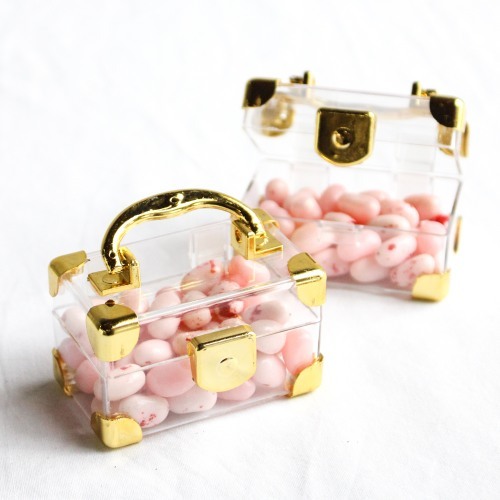 These mini travel suitcase favors add such a fun touch to any travel or vintage themed wedding. Each clear suitcase features colored corners and sturdy handle to make the look come to life. Just fill with your favorite candies and add a personalized tag or ribbon to make this favor box all the more unique.